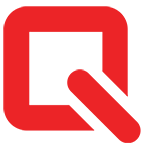 QCOSTARICA via Harvard International Review – In many respects, Costa Rica has been Latin America’s success story in the last century, having achieved stable democratic rule since 1949 and attaining high levels of economic development. Virtually since the time of colonization, Latin America has been plagued with political and economic instability, yet in the last 20 to 30 years, as the rest of the region has struggled to overcome subpar economic and political conditions, Costa Rica has been rapidly moving forward. Its economy (annual GDP) has grown steadily at an average rate of 4.8 percent per year since 1992, far outstripping most of its neighbors. Partially fuelling this massive economic expansion is foreign direct investment, which reached US$2.2 billion in 2014. 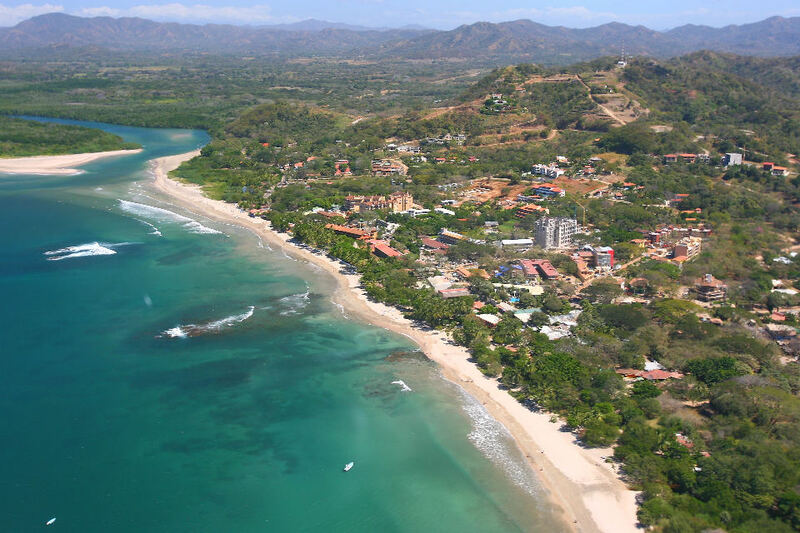 Today, Costa Rica is one of the most attractive countries in the region for foreign investors. It boasts impressive political stability, a 95 percent literacy rate, with a large portion of its workforce being bilingual, and 14 free trade zones, which provide additional benefits for investors, including corporate income tax exemptions. While other countries have been victims of widespread violence, Costa Rica has been the site of growth and prosperity. Costa Rica’s impressive economic performance should not be overlooked, particularly since it constantly faces external challenges. Until now, Costa Rica has proved capable of maintaining security and order within its borders. While other countries have been victims of widespread violence, Costa Rica has been the site of growth and prosperity. However, as its neighbors continue to struggle with organized crime, Costa Rica is constantly in danger of falling prey to political corruption, violence, and instability, phenomena that have widely affected the region. Regardless, Costa Rica has proven time and again its resilience. Latin America clearly has plenty to learn from Costa Rica and not only in economic terms. Costa Rica’s social policies resemble those of developed countries and in some instances even exceed them. In 2000 the World Health Organization’s World Health Report ranked Costa Rica’s universal health care system as better than that of the United States. Furthermore, according to the 2012 Global Peace Index, Costa Rica is one of the three safest countries in Latin America, and the country has also achieved the highest Human Development Index in Central America, a measure incorporating life expectancy, income, and education. Costa Rican citizens in the past century have therefore enjoyed a greater improvement in social services and quality of life than citizens of neighboring countries. This, along with increased economic performance, has enabled Costa Rica to rank first in the past two editions of the Happy Planet Index, a global ranking that combines life expectancy, well-being, and ecological data to calculate sustainable well-being. [/su_pullquote]How has Costa Rica managed to take such a different path from its counterparts throughout the region? One explanation accredits Costa Rica’s success to its abolition of the military in 1948, which has allowed Costa Rica to make larger investments in its citizens. After the Costa Rican Civil War in 1948, President José Figueres Ferrer abolished the military, a rare occurrence that has taken place in only 21 countries, and most of them islands, greatly empowering Costa Rica. Originally a decision made for narrow political interests (Figueres abolished the military in order to avoid challenges to his rule), the abolition of the military has led to tremendous, if accidental, benefits for Costa Rica. 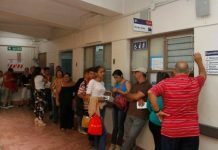 Without a military to fund, Costa Rica’s government has found itself with a surplus of funds to finance social programs, from high-quality health care services to universal education, all of which helped strengthen Costa Rica’s workforce and laid the foundation for substantial economic growth. A combination of human capital and innovative economic policies, in particular economic openness, has also helped push Costa Rica forward. 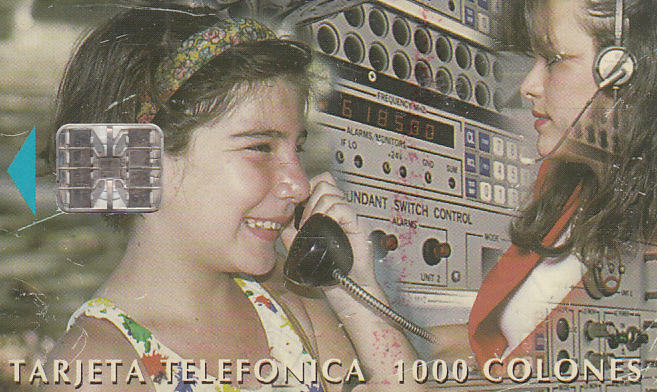 Starting in the late 1990s, Costa Rica became a hub for high tech-industries. Companies such as Intel, Microsoft, and Hewlett-Packard began to invest heavily in the nation, shifting the country’s exports away from traditional agricultural commodities and making Costa Rica the largest per capita software exporter in the region. Today, Costa Rica’s driving exports are computer components, as opposed to agricultural goods and raw commodities, which most countries in the region depend on. Costa Rica consistently ranks as one of the world’s top destinations for production offshoring, falling closely behind the world’s giants, including India and China. Along with this spike in high-tech production, in the past couple of decades Costa Rica’s economy has been fueled by massive amounts of tourism. Costa Rica, with its massive biodiversity, is host to some of the world’s most breathtaking natural attractions. As such, Costa Rica attracts over two million tourists per year, bringing in some US$2.1 billion in revenue. 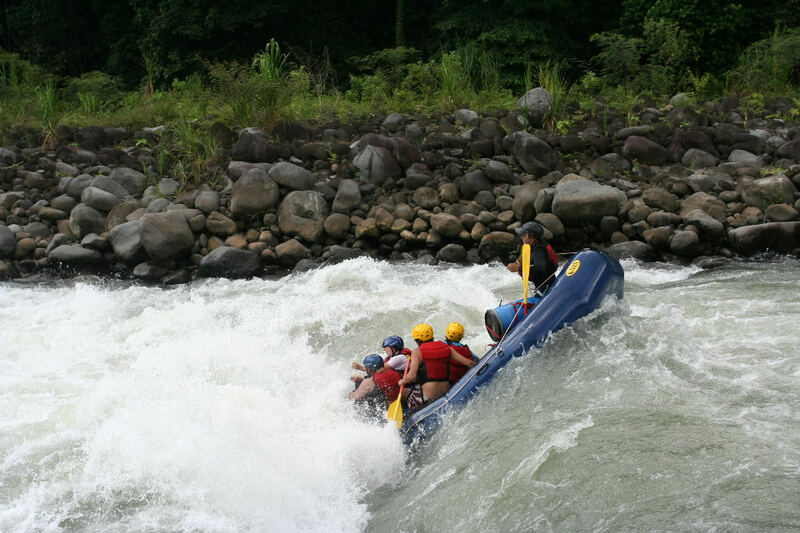 The tourism industry in Costa Rica is rapidly growing, placing Costa Rica as Central America’s most visited country. As a pioneer in ecotourism, Costa Rican tourism is poised to continue being a strong driving force behind the country’s successful economic development. If trends continue moving in the same direction, Costa Rica’s economy, based on tourism, agriculture, and technology, has the potential to become an even greater regional powerhouse, surpassing or reaching the levels of Mexico, Argentina, and Brazil. However, despite Costa Rica’s exceptional performance, the country is not isolated from the rest of the region. 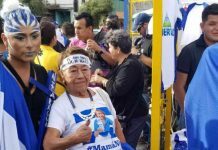 In the past few years, Latin America’s tumultuous political landscape has begun to creep inside Costa Rica’s borders, bringing crime, violence, and insecurity. Organized crime, homicide, and human smuggling are on the rise, posing serious threats to the peaceful image that has attracted so much foreign investment to the small Central American nation and that has allowed the tourism boom to persist. The problem lies in Costa Rica’s strategic position as a transit zone for drug cartels, which has led to an increased presence of Mexican and Colombian criminal organizations in the country. As gangs fight over territory, violence erupts, resulting in dramatic increases in homicide rates. 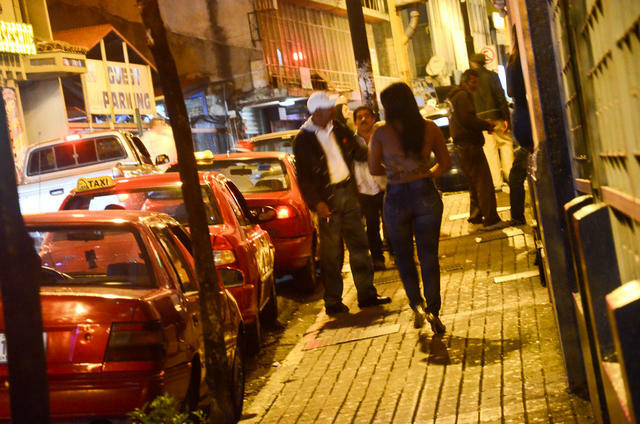 Between 2013 and 2014, homicides in Costa Rica increased by 14.6 percent, a troubling break from the downward trend the country had enjoyed in the past decade. Human trafficking, particularly sexual trafficking and illegal organ trafficking, has also played its role in increasing crime rates throughout the country. 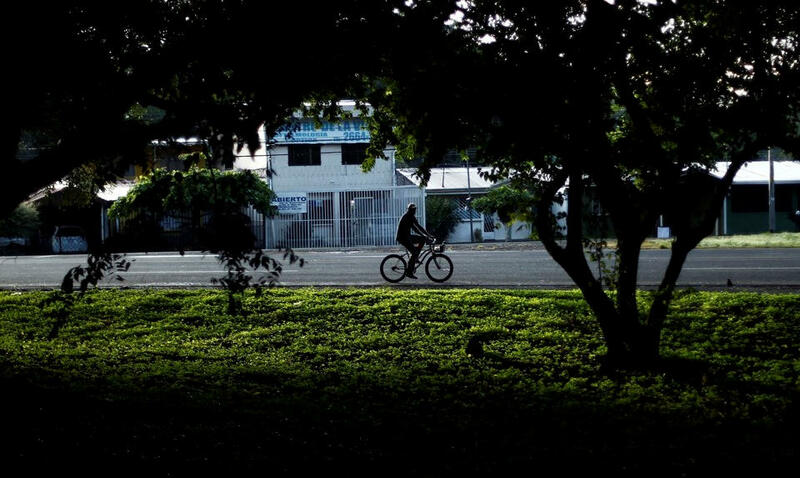 While Costa Rica’s homicide rate, 9.9 per 100,000 inhabitants, is still far lower than that of some of its neighbors, the upward trend is still deeply troubling. The fact that Costa Rica has no standing army further exacerbates the problem, making it even more difficult to combat organized crime. 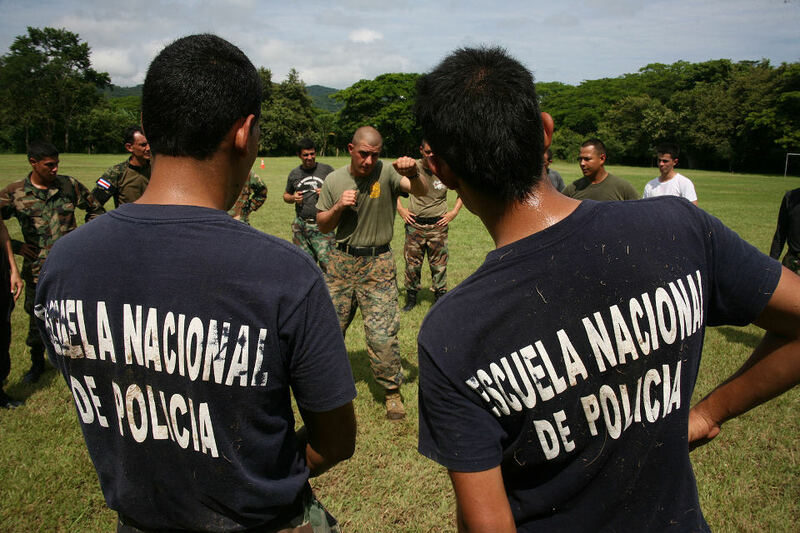 Since early this year, Costa Rica has been actively working towards reversing the upward spiral in homicide rates by strengthening security coordination at its border with neighboring Panama. At a meeting in February, Costa Rica’s security minister, Gustavo Mata, and Panamanian officials agreed to a joint border effort to dismantle organized crime along their 330-kilometer border, pledging to share information, increase training and invest in surveillance technology. These efforts will be spearheaded by Costa Rica’s national police force. “Marines Train in Costa Rica” by Daniel Negrete. 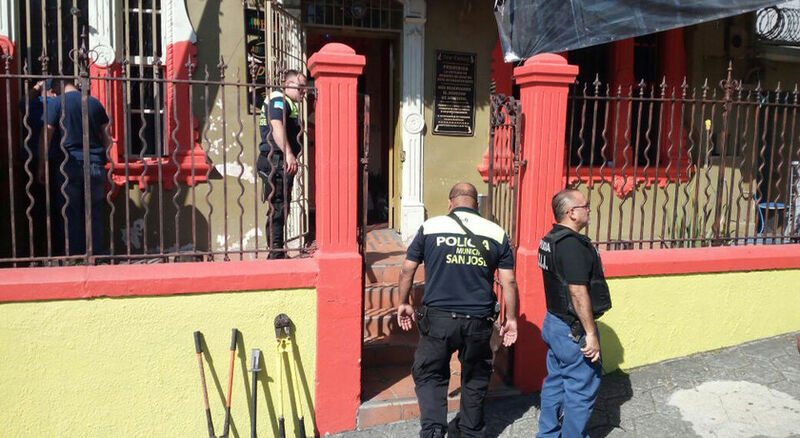 Thus, the challenge for Costa Rica is maintaining its strong public security while curtailing the upward trend in homicide rates seen over the past year. Costa Rica’s performance in preserving national security and combatting organized crime will be crucial to its continued economic ascendance. Good governance, or a lack thereof, will determine whether the country will continue to receive millions of dollars in foreign direct investment and will set the stage for the country’s future in tourism, both areas which have fueled Costa Rica’s impressive economic boom in the past decade. As such, Costa Rica faces two key questions as the year unfolds: How can it boost foreign direct investment and maintain an upward growth trend in the face of growing competition and increased public insecurity? And most importantly, how can it tailor its strengths to position itself as a leader in Latin America?